Luisa Spagnoli London store opening – Art, Food, Travel and Fashion! 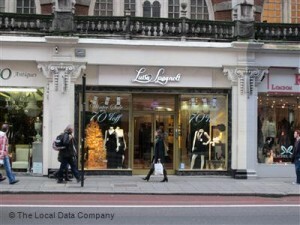 Luisa S pagnoli, one of the biggest Italian high end fashion brands, has opened its first UK store 13th October. The boutiqueÂ which is located at 171 Piccadilly Street immediately attracted a lot of attention and was welcomed with great pleasure on the elegant London shopping street of Piccadilly. It was also welcomed by its â€œcolleaguesâ€ Â the Ritz Hotel, the Burlington Arcade and Goldsmiths which take care of the jewellery and silverware of the Royal Household. Anyway,Â we have to say that the brand was already very well known and appreciated in London in part due to Kate Middleton, the duchess of Cambridge who has often been seen wearing the elegant items of clothing by Luisa Spagnoli. Although the store had opened its doors without any public advertising campaign, today we can see our traditional London taxis carrying advertising banners of the brand. The brand is run and managed by Nicoletta Spagnoli, th e great-granddaughter of Luisa Spagnoli who first created the boutique in 1928 helped by her extraordinary entrepreneurial spirit.Â Nicoletta is now the head of the collections which are increasinglyÂ gaining popularity in the fashion capitals of the world, and she attended the opening of the boutique inÂ London with her son Nicholas, who manages the online development of this historic brand.